God led the people out of Egypt, freeing them from slavery, not because they were first good or perfect, but because He declared Himself to be their God, and that they were His people. 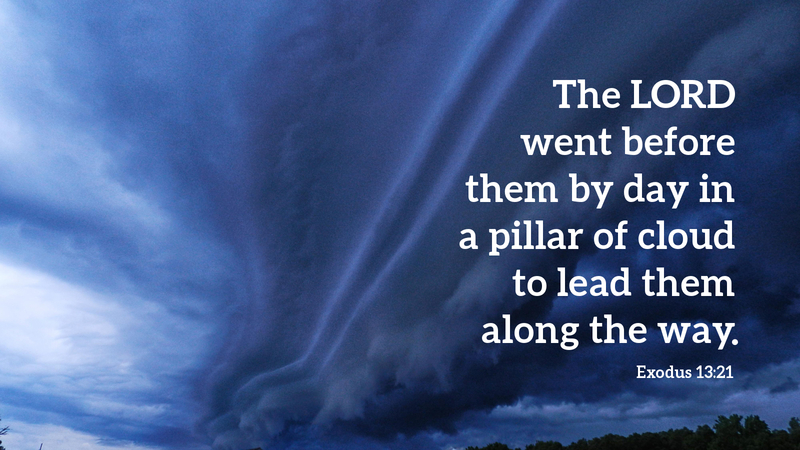 God led them out of Egypt in an unexpected way (“the roundabout way of the wilderness,” Exod 13:18, NRSV) by the unanticipated means of a pillar of cloud and a pillar of fire. Whatever groaning we face in this life, we face with confidence, knowing that God is the God of life. He leads us out of death into life in an unexpected way by unanticipated means: through the death and resurrection of Jesus Christ. Not through anything grand and mighty, but through humility on the cross, our salvation has been won, our sins forgiven. And so we have confidence to strive to please God, because His promised Holy Spirit is with us, given as a guarantee. The same Holy Spirit given in baptism gives you and keeps you in the faith, renewing your nature day by day. All this is pure gift, because God named you His own child in baptism. Prayer: God of life, by your Holy Spirit renew me day by day; in Jesus’ name. Amen. Today’s devotion was written by Keith Falk, pastor of Peace Lutheran Church, Edmond, OK.